What is the first thing came into your mind while talking about ‘Watching Videos’? Youtube. Right? Youtube is such a massive platform for streaming millions of videos. It has the massive database of videos as well as fan following. The Youtube Creator community really making Youtube the best Online Video Platform. To compete with Youtube, Instagram which has 500 Million daily users in September 2017, indeed a most popular social media platform, has launched a brand new app called IGTV, especially for watching Videos. 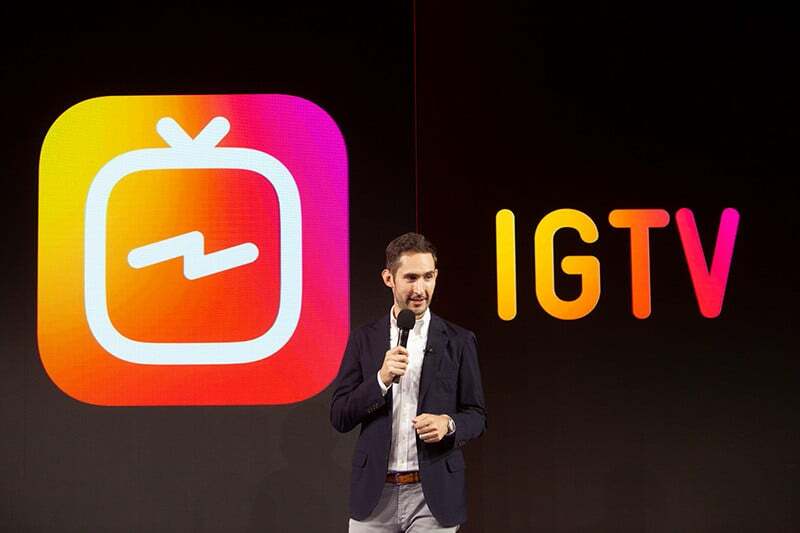 In an event in San Fransisco, Kevin Systrom, Instagram CEO announced the app and also said, “It’s time for video to move forward, and evolve”. 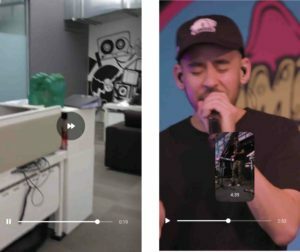 IGTV allows general public and the creator to upload 1-hour long video which was 1 minute before IGTV. 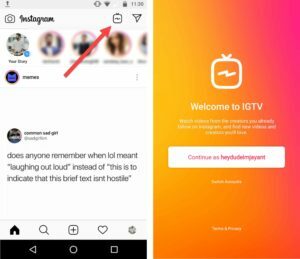 IGTV is a different app of Instagram that you have to install on your smartphone. The app is available on Play Store as well as on App Store for free. Once you installed the IGTV, you can now open the app to watch videos on Instagram. If you have the Instagram app installed, you can login with your same Instagram account. You will get the IGTV button on the Instagram home screen as well. Make sure you have updated version of the Instagram app. The IGTV app looks pretty modern and straightforward, I mean you don’t need to ‘Find’ your favorite channel on Instagram, unlike Facebook videos. The Instagram algorithm will take care of it. 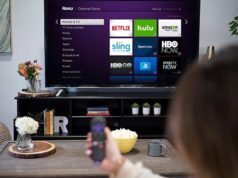 The smart Instagram Algorithm looks for your taste and on the basis of that, IGTV would suggest you videos. Thank God Instagram has added the quick seek buttons in the app. You can forward the video to 10 seconds by double tapping on Right and can go backward to 10 seconds by tapping at Left. 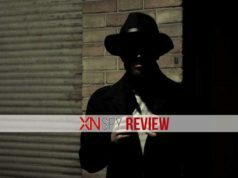 You will also get the thumbnail of the frame which is really helpful to give an idea about the video you are skipping. Just like Instagram, you can ‘Like’ the videos, Comment on videos, Directly Send the videos to your favorite people. You can explore the videos by going on to different heads. Like Popular, For You, Followings etc. The UI is great. You don’t need to look for things. It is right on your screen. The IGTV UI is pretty good. 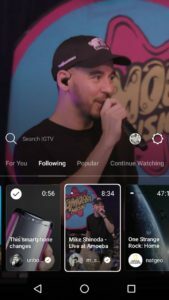 On the home screen of the IGTV, you will get the videos of the creators’ channel you are following. Wait, did I said channels? Yes, I said channels. 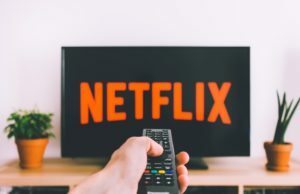 Influencers, Youtubers and popular faces of Internet can make their channels on IGTV to make their presence even more appealing and to make their brand even more impactful. Good News. The general public can also make their own channels on IGTV. 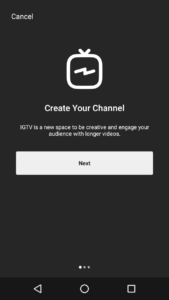 IGTV is very new app right now and that is why there is no monetization thing on it. That means you will not find any ads on the IGTV videos as of now. 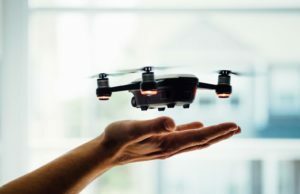 But soon, we will experience ads in the videos which is a good news for Creators (will generate money for them) but a problem for viewers because it is no doubt very annoying. I wish they provide ‘Skip Ad’ button. IGTV is a video platform by Instagram and you will experience something different from all the other video platforms and that is Vertical Videos. Majority of the Instagram users uses mobile phones for accessing Instagram (do you use Instagram on desktop PC?) and that is why Instagram is focusing on Vertical Videos. Vertical videos are good on the smartphone but it limits the vision of the videos. 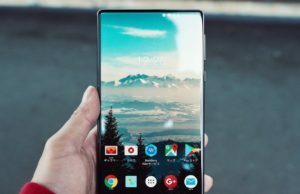 Moreover, Creators also need to edit/shoot the videos according to the aspect ratios of a smartphone’ screen not for regular 16:9 Full Screen. IGTV is really a handy video app by Instagram. Just open the app and start watching videos. I liked the concept of vertical videos but I really don’t know if this thing is going to work in the long run. You can upload square videos on the IGTV app but that is not going to give the desired experience on the phone. IGTV definitely not going to beat Youtube anytime soon. Till then, we have Youtube as well as IGTV to watch videos online. 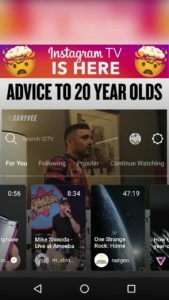 Are you using the IGTV app? Did you like the app? Share your thoughts in the comment section below.